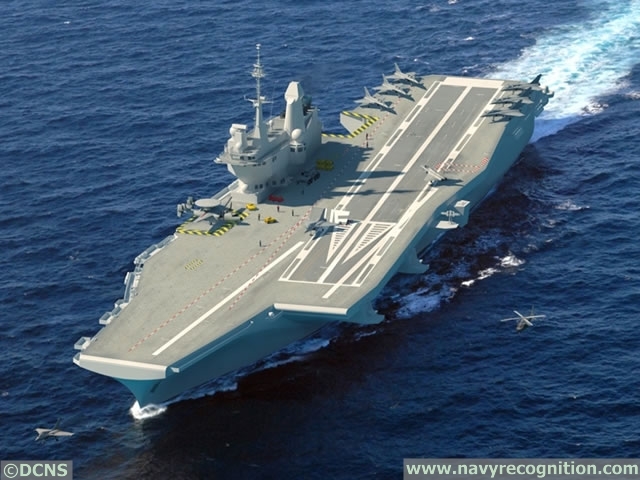 According to several Indian newspapers, the Indian Ministry of Defence (MoD) has launched its project to build a 65,000-tonne sea-borne aircraft carrier, nammed "indigenous aircraft carrier number 2", or IAC-2. A Letter of Request (LoR) was sent to at least four foreign companies: BAE Systems, DCNS, Lockheed Maritn and Rosoboronexport. Select bidders have until July 22nd (which is extremely short) to respond with detailed cost and technical proposal. 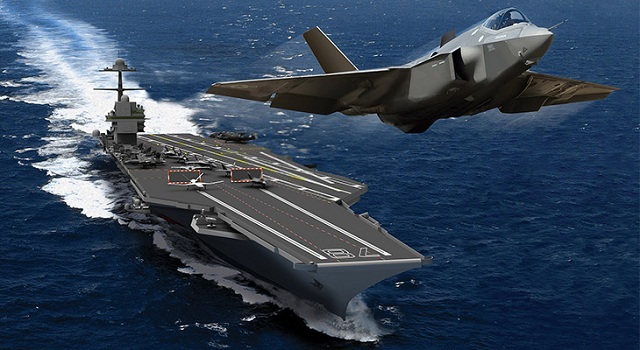 According to the LoR, the IAC-2 aircraft carrier should have a displacement of 65,000 tons, a length of 300 meters and equipped with Electromagnetic Aircraft Launch System (EMALS). The carrier vessel should be able to accomodate an air wing consisting in 35 aircraft and 20 helicopters. Installing EMALS should provide IAC-2 the ability to deploy heavier carrier borne aircraft than those currently used by the Indian Navy (MiG-29K and Harrier). It should also the use of AWACS aircraft (Hawkeye) from IAC-2. During Defexpo 2014, a defense exhibition held every 2 years in Delhi, DCNS was showcasing its DEAC (DCNS Evolved Aircraft Carrier). According to information available on DCNS website, DEAC provides power projection, sea control and air defence. It is based on French Navy CVN Charles de Gaulle’s combat proven design and aviation system. The DEAC is compatible with all CTOL aircrafts (including Airborne Early Warning aircraft) and features the latest technologies including cutting-edge Combat System (SETIS®), UAV integration, advanced conventional propulsion and state-of-the-art platform stabilisation system (SATRAP/COGITE). In addition to the design, DCNS offers customised transfer of technology, material packages, dedicated infrastructures development (i.e. naval base and construction/maintenance shipyard) as well as life support solutions. As Navy Recognition reported in our Defexpo coverage last year, General Atomics and DCNS representatives met to discuss possibilities of fitting EMALS onboard DCNS future aircraft carrier designs.